There’s a guy who has developed the formula for determining winning lotto numbers correctly 92.6% of the time. He’s so good at determining those winning numbers that all 50 states, plus the Irish Sweepstakes and the Nigerian Lottery, have banned him from playing their games. He’s been escorted away from more scratch-off ticket vending machines than anyone can count. And he lives around the corner from you. Now – hold that thought. Dorothy Anderson spent 28 years as a pediatric nurse, first in a busy peds practice where she had a marvelous reputation as a knowledgeable and caring professional. Then she spent many years in the neonatal unit of a busy hospital where she was part of a team that worked with some of the most at-risk babies to help them develop strong enough bodies to go home with their parents. In short, Dorothy was the consummate professional. Now, for a number of reasons, Dorothy has decided to become a patient advocate, focusing specifically on helping families with at-risk newborns who need continued care after they leave the hospital. Her credentials are impeccable. Her business cards and website are professional. But so far, she hasn’t had a single client. The phone hasn’t even rung. Kurt Schaefer spent a number of years as a hospital accountant. He knows his way around a hospital bill, including understanding where hospitals can pad bills, and where the most mistakes are made. But then he got laid off, and as a result, decided he would become a medical and hospital billing advocate. So he made up his new business cards, got the local press to write about him and his advocacy work, and waited for the phone to ring. And it did! But the people who called were looking for someone to help them sort out their treatment options, or get a second opinion, or help with their newborn who was just being discharged from the NICU. And Kurt couldn”t help them with any of that. Both Dorothy and Kurt, despite their excellent skills and experience, will go out of business before they even get started. Why? Not because they don’t have the skills and experience they need, but because the people who need them don’t know they are available to help. Fireworks erupted in the AdvoConnection Forum recently. I call them fireworks because those involved are so passionate about their work – no matter what their points of view. Fireworks are awe-inspiring and truly beautiful, even if they don’t accomplish much, which is exactly what transpired. I won’t recreate the discussion because, frankly, it stands by itself in points, counterpoints and personalities. Happy Birthday AdvoConnection! Will You Help Us Celebrate? Two years ago today, we launched AdvoConnection as the premier directory for patients and caregivers to find a health or patient advocate or navigator, and to support the business starting and growing efforts of advocates. ■ More than 270 people are advocate or pre-advocate members of AdvoConnection. Most are in the process of exploring advocacy as a career. ■ 12 non-profit patient advocacy organizations are registered with AdvoConnection. 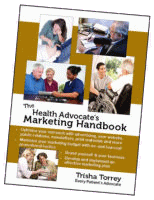 ■ Our advisors (legal, insurance, patient safety, insurance claims, marketing and medical) have answered at least 34 questions from advocate members. ■ We have had to turn away 27 applications for Premium or Basic memberships because we felt they were not ready to appear in the directory (not enough of a track record.) Most of them have instead joined as PACE members. 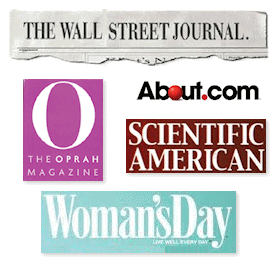 ■ We’ve helped individual advocates and AdvoConnection itself appear in media galore – from O Magazine to CNN to local newspapers and TV news. ■ We’ll hold our first conference, the AdvoConnection Business Institute, in November. ■ However! We have no idea how many successes there have been – patients or caregivers who found one of our directory-listed advocates and became clients. We have no way to track them because email and phone calls go directly to the advocate who is listed in the directory. And that’s where you come in! 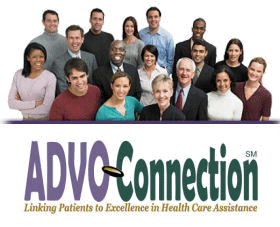 Please tell your story below: If you are an AdvoConnection member*, tell us about a patient or caregiver (or even another advocate) you connected with through your affiliation with AdvoConnection. Please don’t use names (privacy) – but tell us how the relationship worked out, what benefit there was to your patient, or to you…. It’s a great way to help us celebrate our second birthday! *AdvoConnection members only, thank you.